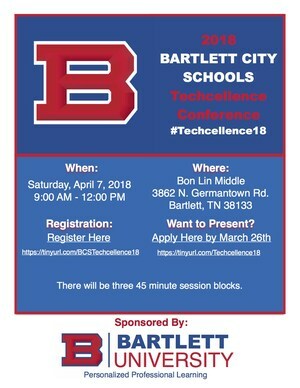 We are announcing Bartlett City Schools’ second annual technology conference. 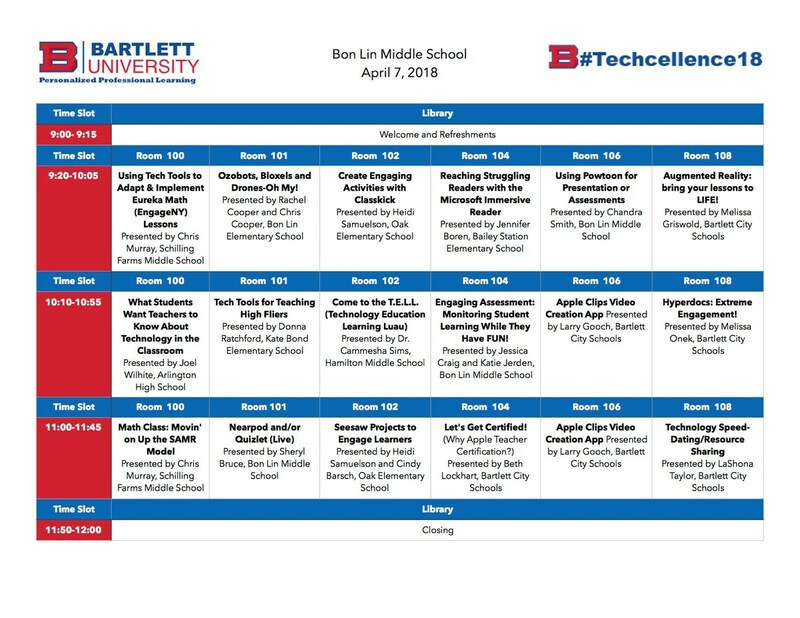 Techcellence18 will be held on Saturday, April 7th starting at 9:00am at Bon Lin Middle School. 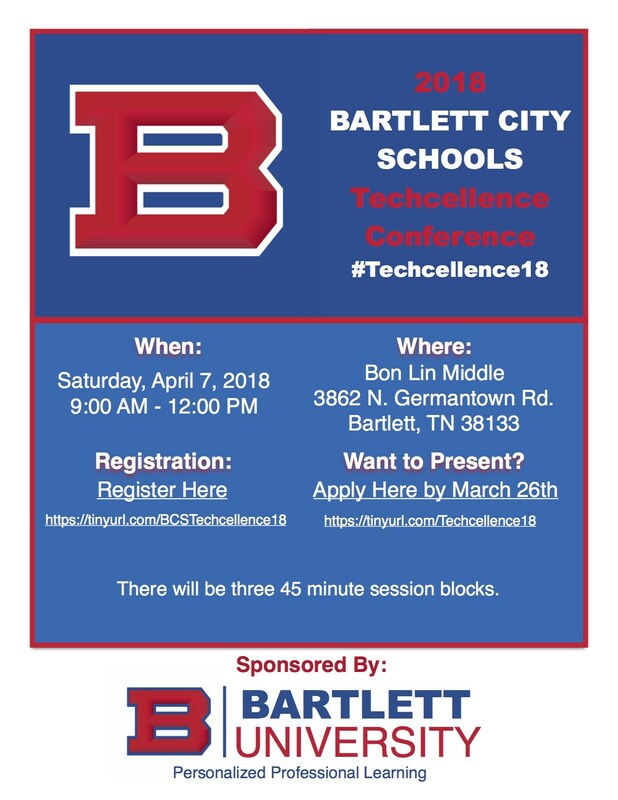 Registration is live, and this opportunity is open to all educators in our area so feel free to share! 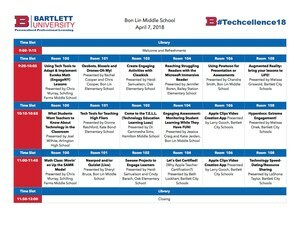 For registration, please click here. Apply to be a presenter by March 26th by clicking here. Also, you may click below to download a flyer.